Beauly is now a CATEGORY 1 river (- recommendations for fish catches are on the Rules pages). The new Permits have been printed and are available, please collect yours before the end of March. The River Opening ceremony was held on Saturday 16th February at 11a.m. at the fishing Lodge along the Downie Beat. Many attended on a lovely morning. The event went off well with a toast to the River from the Chair of Beauly Angling Club Wendy Harpe, with the members and visitors led to the banks by the piper. More pictures in the Gallery – click on the photo below. Thanks go to Muir of Ord Distillery for donating the bottle of Singleton of Ord for the toast, Janet, Margaret-Anne and Liz for the cakes, biscuits and tablet and to those who tried a cast a two to tempt the fish. The latest Committee Meeting Minutes are available – BAC Minutes. April minutes are uploaded. There is a new paper from the Ness & Beauly Fisheries Trust available from SISI project Article. Day tickets for the 2019 season will be available via FishPal or by phone/ in-person from Mr Ian McHardy, Riverview House, Viewfield Avenue, Beauly. IV4 7BF (07778479247). 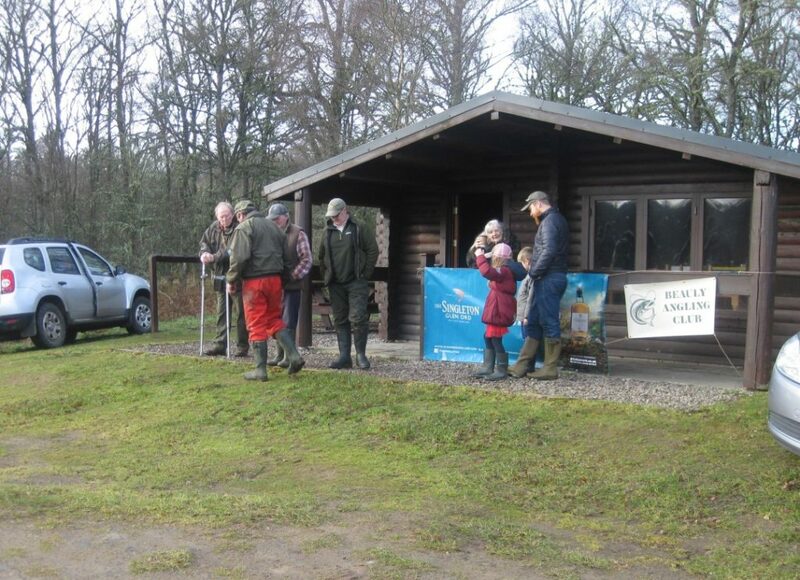 Beauly Angling Club provides members with affordable access to river and firth for Salmon and Sea Trout. The fishing on the inner half of the Beauly Firth is also included in club membership offering saltwater fly fishing, spinning and bait fishing predominately for Sea Trout. We have a number of exchange tickets set up with other Angling Clubs across Scotland. The club holds a number of friendly competitions for members held on different waters and regularly fields teams in inter-club competitions during the season, please see the Competitions page.